The Gravettian Period is considered the first truly Pan-European culture, and is identified by a common set of flaked stone tools and blades that have been found throughout the continent . These stone tools were elongated and designed to be mounted on spears for the hunting of large game. A particularly distinctive form of this toolset has been found in present-day Belgium and has been referred to as the Maisierian, which involved tanged tools and retouched points that have a distinct flat surface unique to the region [10-11]. 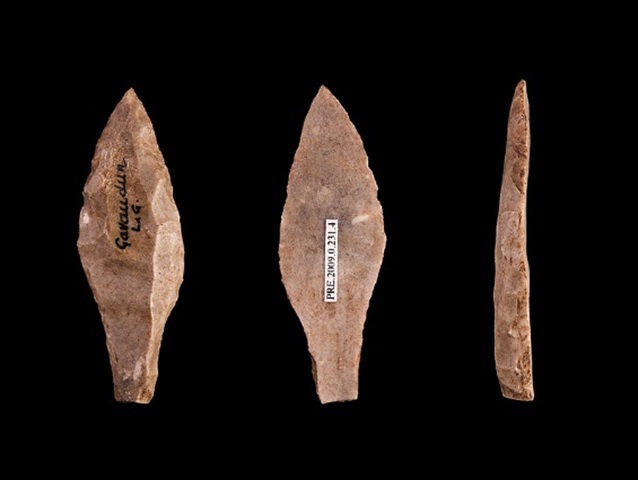 Maisierian tools have been found not only in Belgium, but also in present-day France and England, suggesting a common cultural pattern for people living in this region. The early part of the Gravettian was increasingly cold, and the ice sheets expanded over much of Europe during the last glacial maximum. This is thought to have interrupted the progression of many of these early Gravettian societies, with people moving out of present-day Belgium and Northwestern Europe towards the south of France around 26,000 years ago , returning several thousand years later when the climate began to warm again. The three individuals in this sample were found in the Troisième Caverne at Goyet Cave in present-day Belgium, 15 kilometers (9 miles) from the city of Namur. They were carbon-dated to been dated to between 26,040 and 28,230 years old, placing them in the Early Gravettian. The site has been excavated since the 19th century  and contains artifacts that span different dates from as early as 40,000 years ago to the end of the Magdalenian, some 12,000 years ago. It is not entirely clear which artifacts they had been buried with due to the less rigorous archaeological records of the late 19th and early 20th centuries . 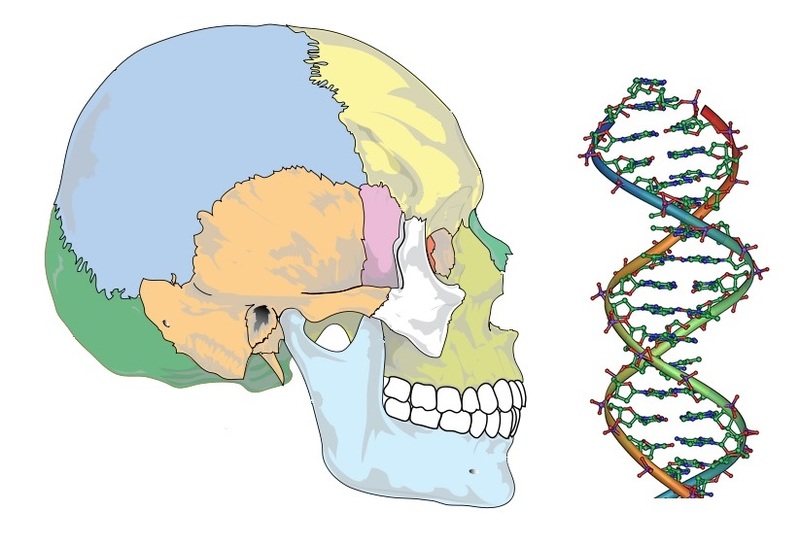 Genetic analysis has shown that these individuals represent the first major lineage within Central and Western Paleolithic Europe that was distinct from people that appeared in the region after the last glacial maximum . They were the direct descendants of the Aurignacian people that first arrived some 35,000 to 40,000 years ago. They differed from those who repopulated the area after the last glacial maximum at 26,000 years ago due to population mixing that occurred in the refuge area of Southern France. All of these individuals were genetically female and belonged to the U2 lineage, which was the most common haplogroup among European hunter-gatherers of the Paleolithic and still exists in Europe today although at lower frequencies due to the genetic contribution of incoming European farmers .